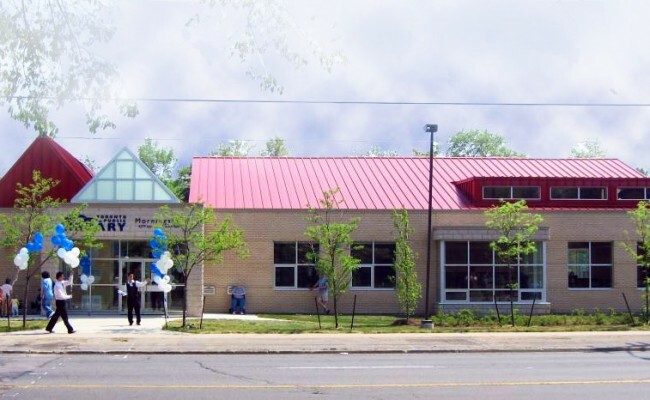 The 45,000 volume Morningside community branch library is adjacent to a park and a playground. The architectural design with warm cladding material and pitched roof form is complementary to the residential neighbourhood. 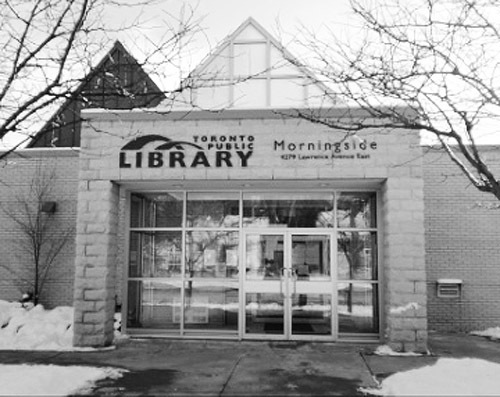 The library was positioned on the site close to Lawrence Avenue with parking behind the building with the intent of giving a public face to the library, increasing visibility and encouraging pedestrian access. Two public Open Houses were held to facilitate community input. The interior of the library includes a community meeting room that can be accessed independently from the library during off hours, computer training room, self check out, children’s library, lounge, various collection space as well as staff lounge, work room and service spaces. 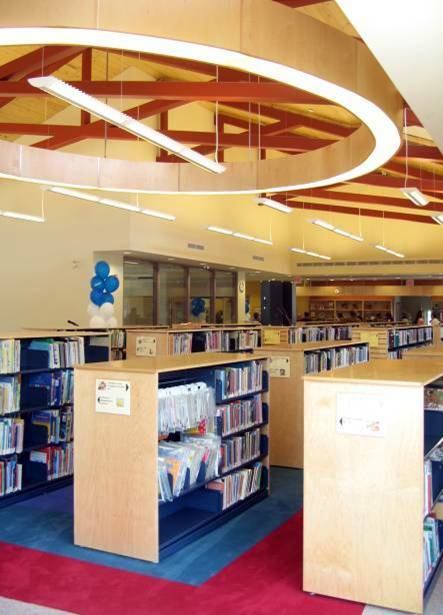 The ceiling of the library features wood with exposed long span steel trusses. We were also responsible for the interior design and furniture selection. The library is 7,000 sq.ft.